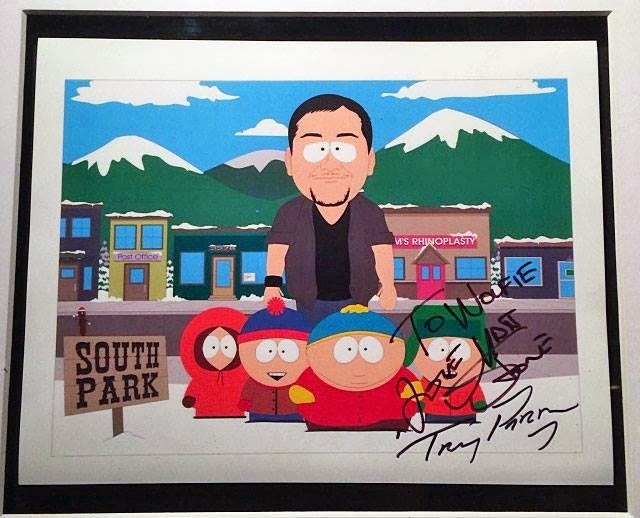 Wolfgang Van Halen scored a South Park present for Christmas. The bassist received a lithograph of his own South Park character, signed by series creators Matt Stone and Trey Parker. Van Halen were featured in an episode of the Comedy Central show last fall. Van Halen wrapped up their “A Different Kind Of Truth” tour in July. A few months ago, frontman David Lee Roth revealed that the group are in the early stages of working on a new album.